It was the birds that got me back outside. A mistaken cat bird. It was a mockingbird, of course. Birds, however, are quite a challenge for an amateur photographer, especially when it looks like this outside and it's getting near single digits. 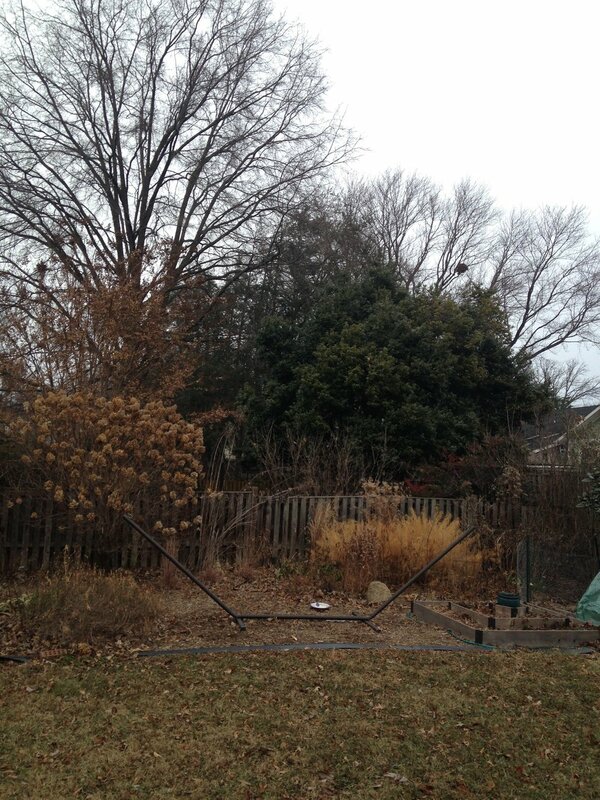 The greenhouses are battened, so they won't blow into the neighbors' yards. ... and start planning for the spring season.